This session will be shaped by the attendees and their hair care needs! It is open to all who have afro textured hair with an interest in learning what DIY means for our hair. We will be introducing our natural hair, discussing ‘problems’ with wearing natural hair, the importance of exposure and common misconceptions about natural hair. Unpacking trauma that lack of access to safe, consistent hair care routines/providers can create. Learning what protective hairstyling means and what it can look like. 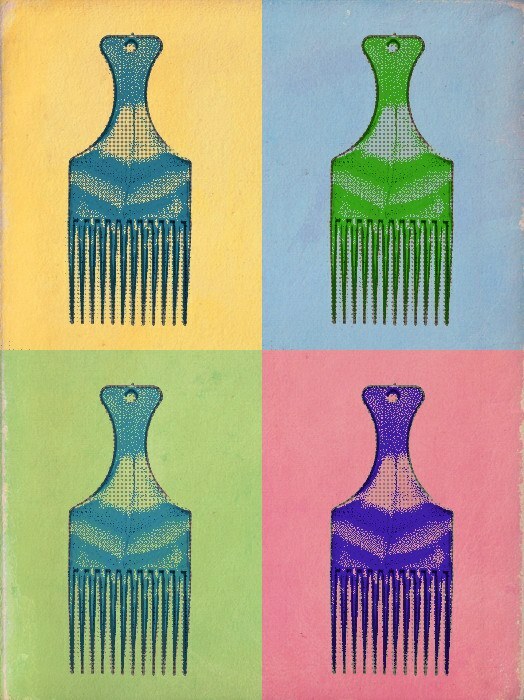 Learning how to comb/detangle natural hair of all textures PAINLESSLY! Accessing a variety of hair care products and samples that could be suitable for your hair type. Learning how to do rope twists/braids that can be styled with much versatility. Tobi Nicole Adebajo is a community-focused Queer, Non- Binary Activist, Educator, Hair Stylist, Parent, Poet, Performer, Singer, Writer & Yoruba Spiritual Practitioner who works with prowess – centring their work on the depths and nuances of topics such as queer love, politics, g(end)er & Yoruba culture. They’ve performed and shared works and projects in various venues around Nigeria & Europe, continuing to create pieces that resonate with many. Posted in Uncategorized, WE DEY x space and tagged as Afro Hair workshop vienna, Black Hair, Black space, featured, featured tag, Tobi Adebajo.